Buy Coconut (Copra) Pak of Shreeji Dairy from Ahmedabad online | Authentic Indian Sweet , Savories and Delicacies from the place they originate by Moipot. 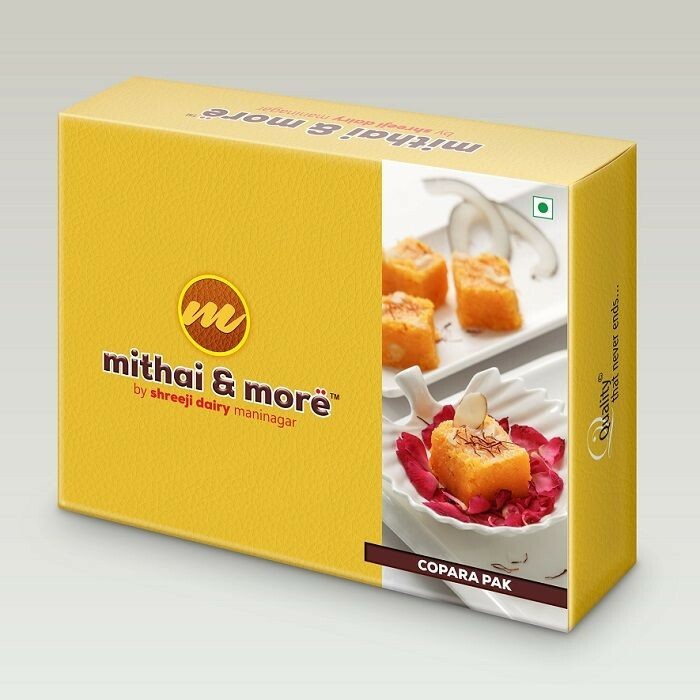 Copra Pak also known as Coconut Barfi is extensively used on pious occasions in India. Be it a festival or a family ritual, offering Kopra Burfi can’t go wrong. It oozes of freshly grated coconut, sweet milk solids, ghee, cardamom and nutmeg. This mithai will melt in your mouth and softness will keep you wanting for more.